On April 7, a month after International Women’s Day, we commemorated National Domestic Violence Remembrance Day remembering the more than 80 Australian women each year who die as a result of domestic abuse. It’s not a comfortable topic but it’s one we can’t shy away from if we want that statistic to be relegated to the history books. Survivors of domestic violence are increasingly stepping up and speaking out in support of those who are still living it every day. Australian of the Year 2015 Rosie Batty did and continues to do everything in her power to shine a light on the issue. 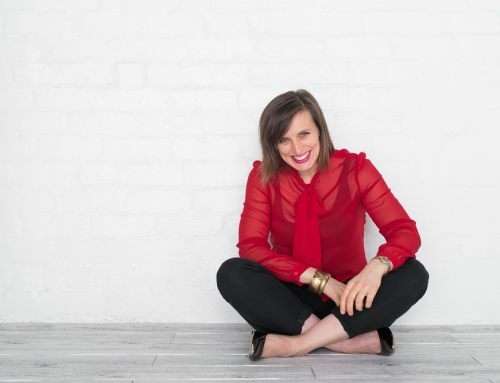 An opinion piece by Lisa McAdams in The Sydney Morning Herald talks about how corporate and workplaces can help. These women’s journeys are ones of courage and survival that inspire. For women living in domestic violence shelters today, the first step in their empowerment journey was to leave. The second is to rebuild their lives. That takes the support of others. At Thankly, we’re inspired by them and a small enterprise that’s offering a helping hand, one that is supported by people who are paying it forward and letting these women know someone cares. 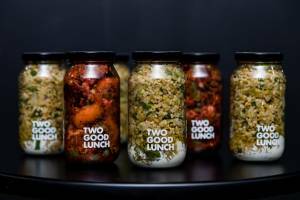 Two Good, a social enterprise that started in the heart of Sydney’s Kings Cross 10 years ago, has partnered with some of the country’s best chefs (think Kylie Kwong, Matt Moran and Neil Perry) to produce lunch jars (soups during winter, salads during the summer), mueslis and a range of other products which are then sold on a “Buy One Donate One” basis. You’re delivered a delicious, organic meal and one goes to one of more than 20 domestic violence shelters or to a person living on the streets. Two Good now provide more than 200 meals every week. 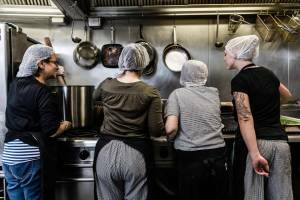 They’re prepared by their head chef and a team of women from those same shelters who’ve been trained to work in Two Good’s kitchens. When a woman in a shelter sits down to a Two Good meal she’s getting a message of support and self-worth. It’s a gift from a stranger that helps her take those next steps to a new life.